volca 105 - volca kick Explored. Motion Sequences are purchased separately and simulate various artists. True or false? Korg's volca kick can record audio. True or False? volca kick’s MIDI In allows you to trigger MIDI notes, as well as sync volca kick. True or false? Korg's volca kick can use an adapter, as well as batteries. True or false? How many sequences can be stored on volca kick? The Accent knob controls how loud accented steps are above regular sequencer steps. True or false? The 1/8” cables that come with Volca kick can only be used in the Sync Ports. True or false? Touch FX Rolls, and FUNC enabled rolls work exactly the same way. True or false? Sequences play back in the order they are saved. True or false? What kind of audio output does volca kick have? 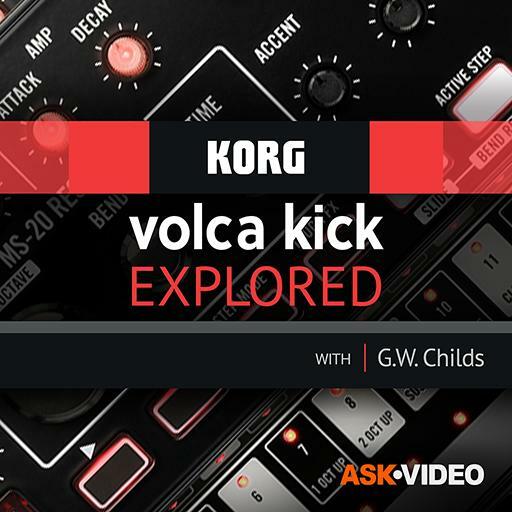 Korg's volca kick reverse function reverses the sample of the PCM sample of a kick drum to create a reversal effect. True or false? EG Decay is disabled on Slide Steps to seemingly blend steps together. True or false? A Sawtooth oscillator is what is used to generate sound within volca kick. True or false? You do not need to save patterns on volca kick. True or false? You can limit up to one step of sequencer playback in Active Step Mode. True or false? Touch FX control the LED color of volca kick. True or false? Step Mode and Active Step Mode are the same thing. True or false? How do you add ‘clickiness’ to the attack?